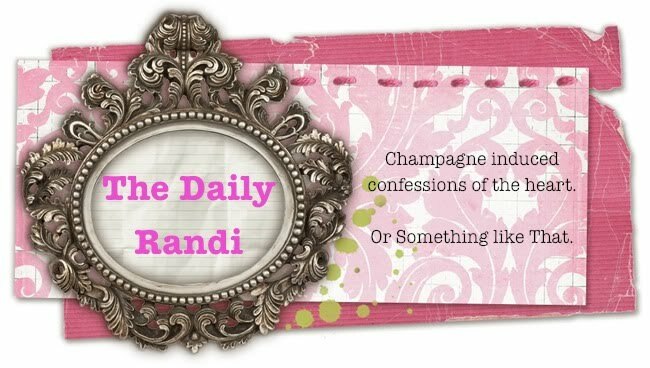 The Daily Randi: One Window Closes, Another Opens! One Window Closes, Another Opens! Apparently, I am A Horrible Bride To Be. Every time I sign on to The Knot, the website devoted to All Things Wedding, I am faced with A Long List Of Things I Have Not Done. Today, I checked and had 115 Things that were Overdue. Overdue!! One Hundred And Fifteen Freaking Things! And just in case you didn’t know, The Knot likes to put Tiny Exclamation Marks next to each Overdue Item. !!!!!!!!!!!!!!! Like That!!!!!!! In my attempt to Correct This Matter, I immediately looked over The Overdue Things List. Surely, I must have done Some Of These So-Called Overdue Things already! Booked a Venue? Check! Selected A Caterer? Ha-Ha, I did that Today… Check! Book an Officiant? Um. Oh. No. Where do you get An Officiant from? That’s like A Rabbi, right? Meet with your Florist? Huh? Flowers? I can’t even decide What My Colors Are! And so, I immediately went to TMZ to see If There Were Any Good Celebrities Who Got Arrested Stories today. Ah. Britney was Late For Court! Lindsey has been Drinking! Some Rapper I Never Heard Of Was Seen Canoodling In Vegas! I felt Lots Better. Moral of Today’s The Daily Randi Blog Post: If you happen to be Attending My Wedding and notice The Lack Of Officiant, Flowers, And/Or Any Other Wedding Thing You Would Think A Bride Should Be Able To Take Care Of In A Timely Manner And Not Just Avoid Via Web-Surfing Procrastination, Blame Britney Spears. welcome to thesnot. ;). i lurked once in awhile via nanners' blog, and i may have to visit you more often. congrats on the engagement and wedding planning progress! Poor Daily Randi! I remember your pain. Breathe, woman! Breathe! More like The Not, right? Don't worry, OCD doesn't look good on every bride. Say Yes To The Dress, Say No To The Stress!